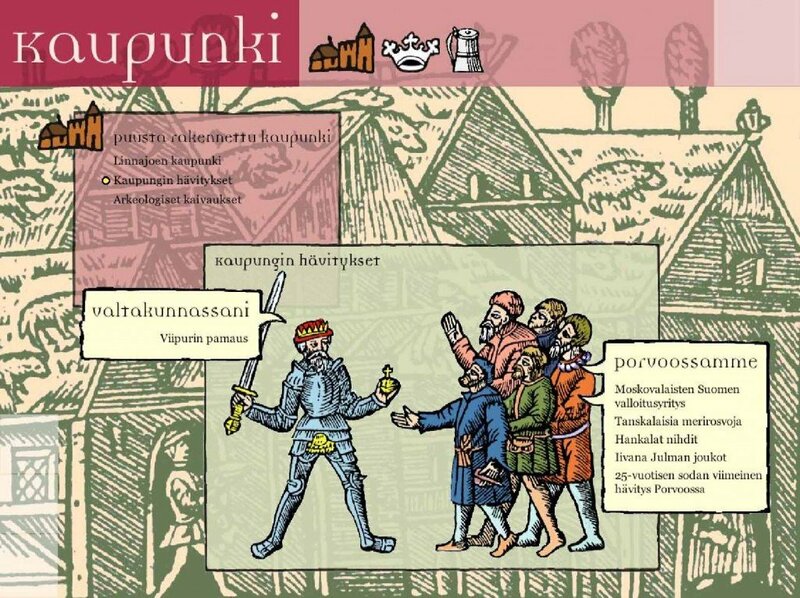 LINNAJOENKAUPUNKI.FI is a web site about the Medieval life Finland and the town of Porvoo. The web site is based on the wide multimedia produced in 2002 introducing the 16th Century in Porvoo region. The storytelling has been realized by texts, pictures, sound and music. The web site is available in Finnish and Swedish language versions. The web site is based on the offline multimedia produced for the Porvoo Museum 2002.